So if you saw the Zoya Ornate bottle shots yesterday, then you know these polishes are all stunners. Every shade has me excited, even the gold shade which usually seems like a “holiday add in” type of shade. 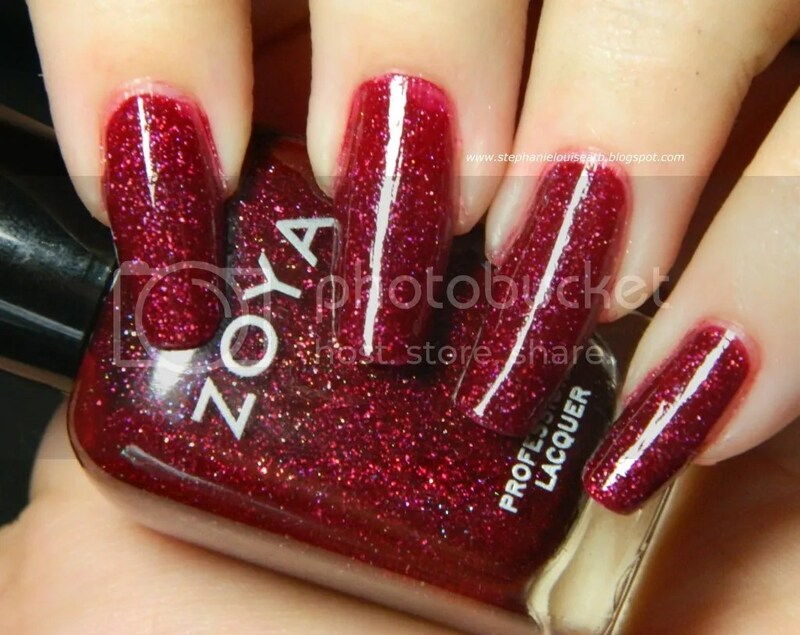 Zoya took this collection & made it completely their own. & it shows. Impressive. Really stunning. & original. 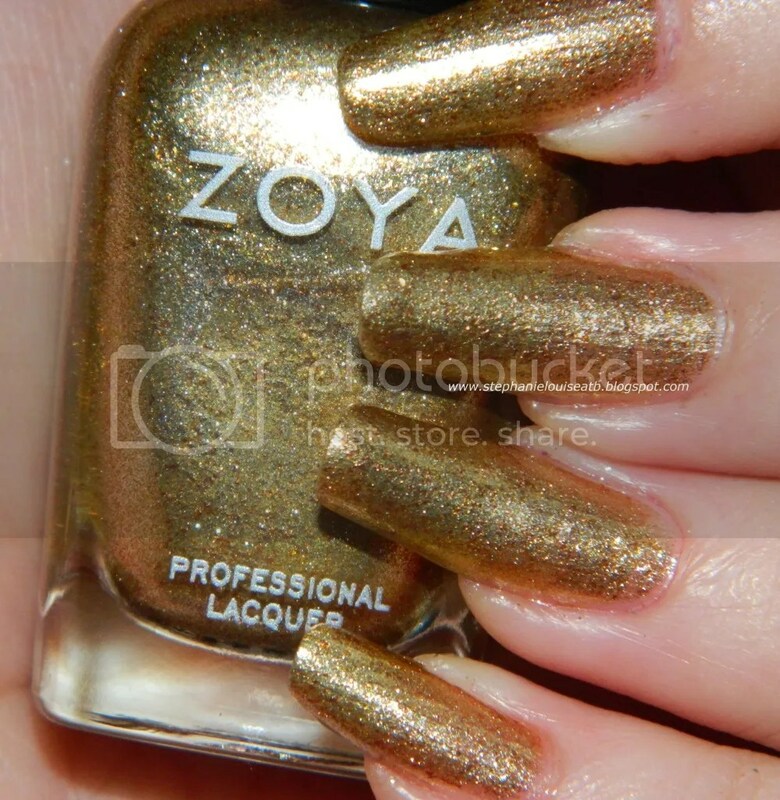 I bow down to the Zoya fairies. Brava! Blaze: Described as a “cool-toned medium mulberry red with a high concentration of micro fine diamond holographic glitter” this seems to look a bit different on me than some other bloggers. The holo effect almost leans a bit purple in lower lighting which I think is so cool! This is a different shade, like a bright red berry. I think this is a nice take on a holiday-ish red. Smooth in 2 coats. Logan: I heart Logan, seriously. 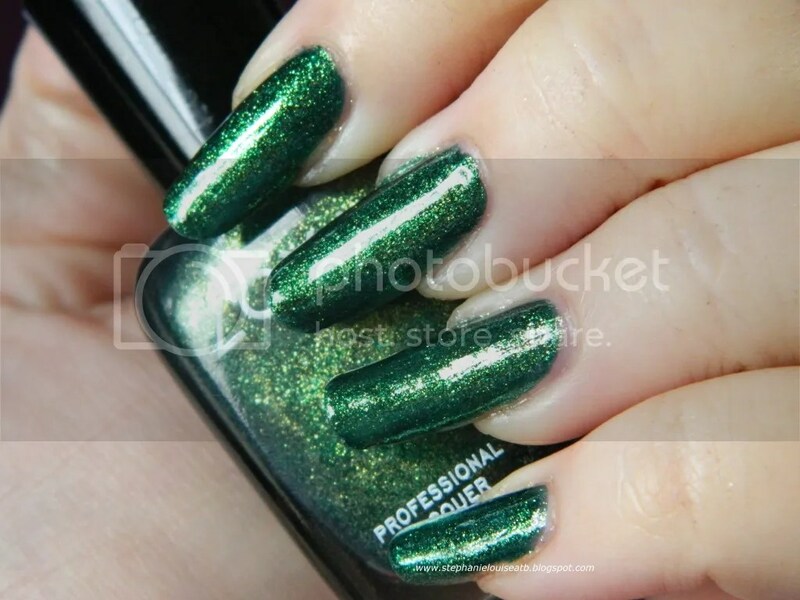 Being that this is a “yellow-toned forest green with dense, foil-like yellow-gold and blue-green duochrome shimmer!” it isn’t a surprise it it definitely a favorite. I LOVE greens, especially this time of year & this one blows many other out of the water. This isn’t your average green. The golden hue almost looks kind of lime-y in certain lights & here & there you catch kind of a blue/turquoise flash. Stunning. 2 coats of perfection. Electra: In my opinion, bar glitters are hit & miss. This “micro fine diamond holographic glitter mixed with large silver holographic bar tinsel” has totally stolen my heart though! This lays flat (yay!) & throws off a LOT of holo-ness! Plus, this bottle is packed to the brim. I have a feeling this will last a long time evern if I use it frequently because it is so dense. Above is only ONE COAT! Granted, it is a medium coat but still! Above it is over Ziv then Aurora. I felt like I was rocking tinsel directly on my nails! Ziv: I’m the first to admit I don’t go out of my way to buy golds & silvers, I often feel like there isn’t anything special about them. Ziv does NOT fall into that category. This “yellow-toned metallic gold foil with silver highlights and warm gold flake glitter accents” burst all my expectations. The yellow-toned base is gorgeous but the true gold flakies just takes it to the highest level. Perfect in 2 coats, can’t wait to wear this as an accent or on my tips! Storm: This is a really unique shade even though I feel like it might be overlooked. 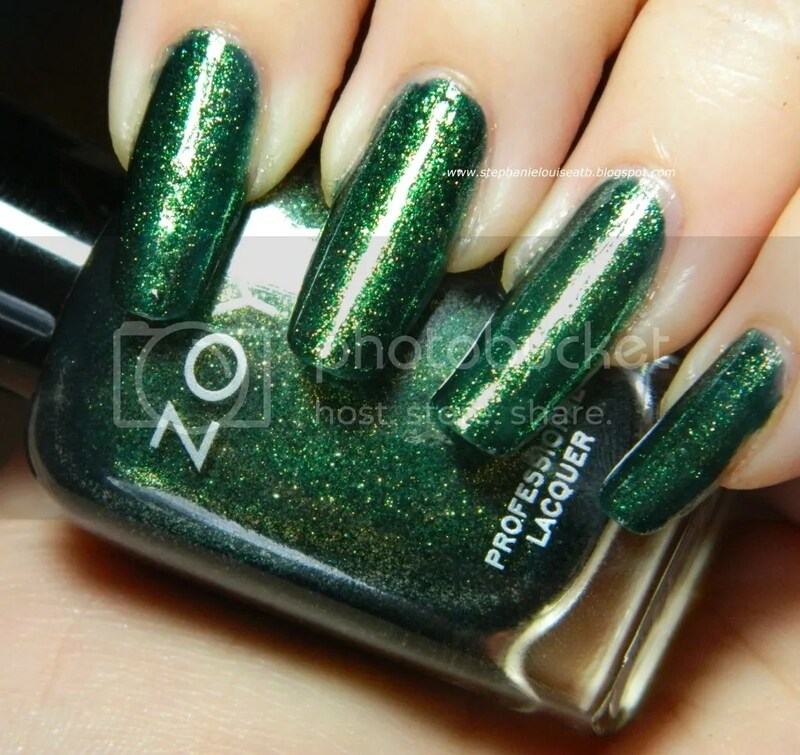 Zoya says this is a “holiday black with a high concentration of micro fine diamond holographic glitter” shade. While I agree with the great holo part, this one has kind of a jelly texture! You can see I wasn’t expecting that on my middle finger at the cuticles but left it so you could see that it is indeed jelly-ish! Yum! This looks like a night sky full of sparkling stars. Shown here is 2 coats. Aurora: I do play favorites & Aurora is it. 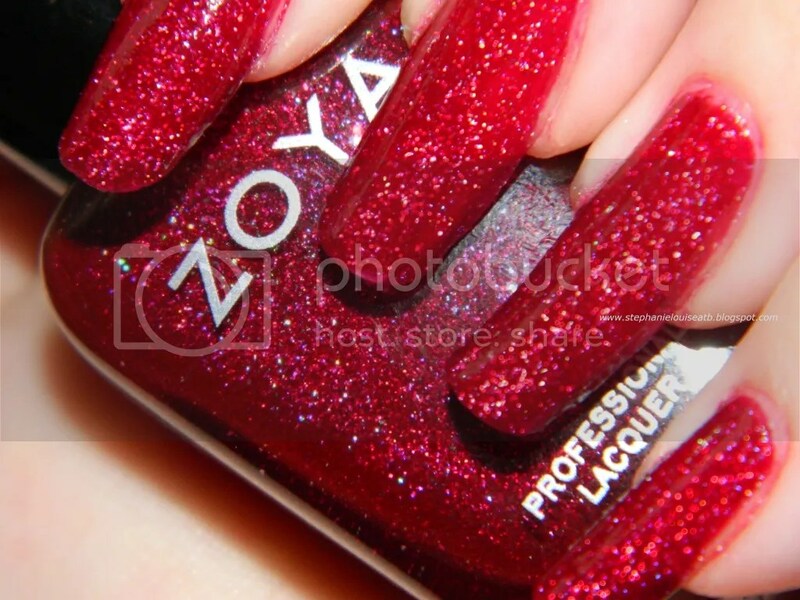 described as a “medium sugarplum purple flecked with a high concentration of micro fine diamond holographic glitter” by Zoya, it is pretty impossible to not fall in love. I actually think they absolutely nailed to color description, definitely a red based sugarplum purple with a VERY high concentration of holo beauty. I used 2 coats but might go 3 next time because there was a bit of VNL.Like many of the others, this looked really sheer on the first coat but quickly built up opacity. This collection has everything I never knew I wanted. Holo, bar glitter, duochrome, metallic, & full of holiday glitz. They managed to include your average holiday shades (rad, green, silver, gold…) but put a unique spin on each one so that they are perfect fr the holiday season but wearable for the rest of the year. Clearly, my stand out is Aurora. Not only is she my most favorite princess (fact) but this polish is packed the brim with hollow…& fabulousness. Aurora is sparkling sugarplums dancing in my head. Electra makes me think of a new package of tinsel. Logan of fresh pine trees showered in golden lights. Blaze a roaring fire crackling with light. Ziv the golden bow atop your favorite gift. Storm is the night sky beginning to flurry. This collection is timeless & a must have. I haven’t been this excited about an entire collection in ages, I honestly can’t even remember the last time I fell in love with every shade. Zoya Fairies, thank you for the greatest winter gift! 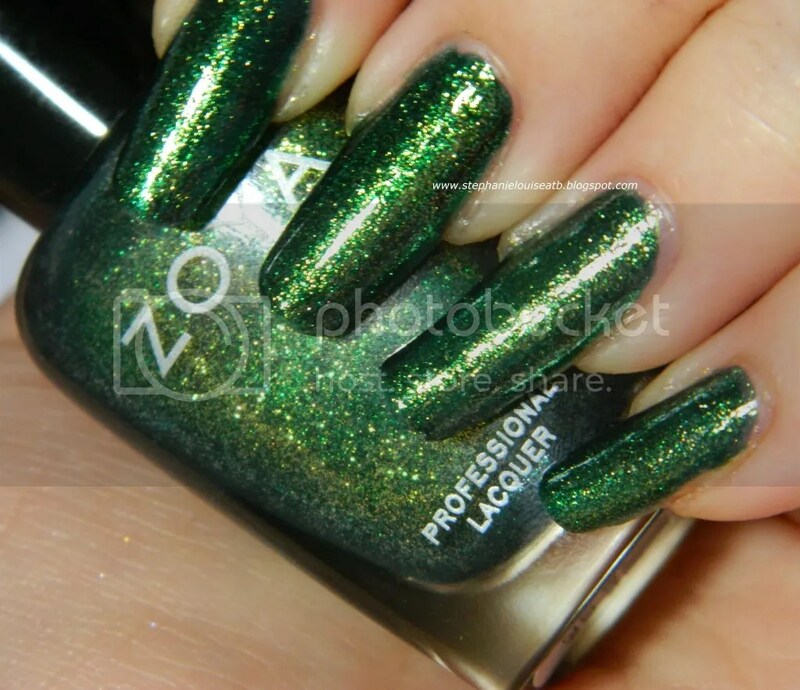 You can purchase this collection now from Zoya’s website for $8.00 per polish. Which shades catch your eye the most? **Products provided in consideration of review.